Packwize | Division of Craftwell Canada inc.
We help you through the entire process from production to delivery. Leaving you with enough time to worry about your product. Packwize specializes in thermoforming and has created many unique product packaging solutions for our clients. We take pride in creating the best possible solutions with maximum efficiency and effectiveness for the client and their product. 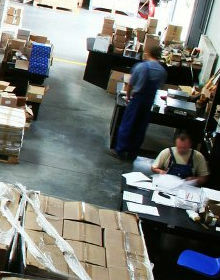 Packwize creates packaging solutions unique to your product needs. Our experienced packaging consultants are here to help clients maximize the potential of their products with innovative new solutions. You make it, We pack it! Our mission is to provide our clients with the most innovative ideas to market their products. Product packaging is an essential part of your products success. Let us help you make your product a success. All the wisdom in packaging! With over 30 years of experience we have the knowledge and expertise to help you in your next innovative packaging project.